What if during her stay at Netherfield, Elizabeth heard Mr. Darcy praise her fines eyes and decided to change her attitude towards him hoping he would not interfere in Jane and Bingley’s relationship? This premise doesn’t really tell us much about the book because that is just the start of a roller coster of changes that will occur in this Pride and Prejudice variation. We will see a conniving and intelligent Mr. Wickham get his way in a very different approach that will get us confused in the beginning, and angry in the end as we realize he is indeed a wolf in sheep’s clothing. I know Mr. Wickham is always hateful, but in this book he has a strategy I had never seen before: he praises Mr. Darcy’s qualities and becomes a master of manipulation that not even Elizabeth’s wit uncovers. 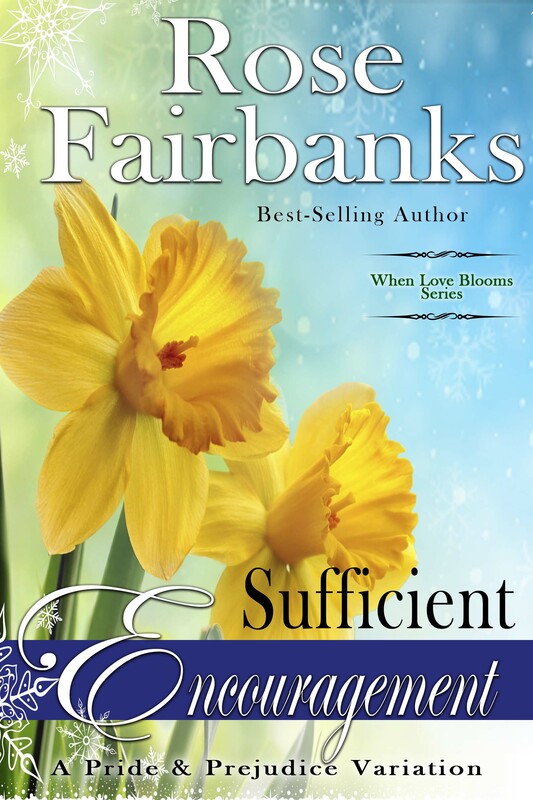 I enjoyed the witty debates between Elizabeth and Mr. Darcy, I always like to see a fight of wits and that is what Rose Fairbanks gave us in this book, but their relationship was not the aspect I enjoyed the most in this book. The secondary characters were my favourite, which is good, because they will return in August with Rose Fairbank’s new book. Caroline Bingley was a pleasant surprise as we have a change to see her beneath her cover, and we realise the snobbish woman we know is in fact a broken-hearted woman trying hard to adapt and to feel integrated in society. She reveals herself to be a kind person who is willing to help others achieve their HEA, and I hope she achieves her own with the most unexpected love interest. Mary was another surprise. I never gave her much credit until I started seeing many interesting developments in JAFF, and this book has done it once more. Mary is much similar to Elizabeth than one might think, and I could see her gain her own space in this story. She didn’t turned out to be as important as I would imagine, but I enjoyed her character very much. Apart from the minor characters I’ve mentioned, and others such as Arlington and Lady Belinda, one of the things I enjoyed the most about this book was reading about the mills, about the workers fight for a better life, self made man, and the changes in the northern society. The historic input in this book was clearly and added value, and even if circumstances are different, I could not stop thinking about the influence North and South might have had in the construction of this story, and that alone made me smile. 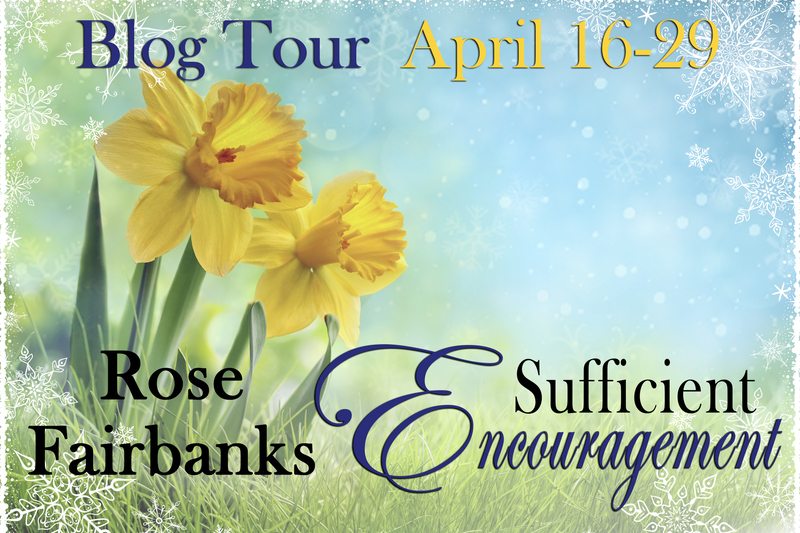 I hope you have enjoyed the review of Sufficient Encouragement, and if it left you eager to read more about this story, I have good news 🙂 Today I’m not just posting the review, I’m also receiving Rose Fairbanks as a guest to talk about Elizabeth’s growing feelings for Mr. Darcy. Now, don’t be alarmed, the Mr. Darcy of Sufficient Encouragement still has Pemberley and all his wealth from Austen’s original. In fact, he is a silent financial partner in several mills in the North owned by Bingley and also owns several colleries. But we never see Pemberley. Or even his London house. So, it has no bearing at all on what changes Elizabeth’s opinion of him. Instead, Elizabeth slowly sees the gentler side of Darcy over a course of a few weeks instead of two days. Early in the story, Darcy asks Elizabeth to correspond with Georgiana. Instead of staying in London, Darcy and Bingley soon return to Netherfield. Georgiana accompanies them, as well as Darcy’s cousin, Lord Arlington. Elizabeth can soon see that Darcy is a beloved brother and cousin, as well as a steadfast friend to Bingley. One morning, they unexpectedly meet in the woods. But it is not a romantic rendevous. Separately, they stumble across a pair of tenant boys that need their help. One fell and hurt his leg and sent his brother to get help, who then got lost. Darcy and Lizzy are the perfect team reacting quickly to the crisis. When all is settled, and both boys are safe at home, a beautiful scene does unfold between Darcy and Lizzy…but she’s already more than half in love with him by then. So what is it that makes Lizzy love Darcy? 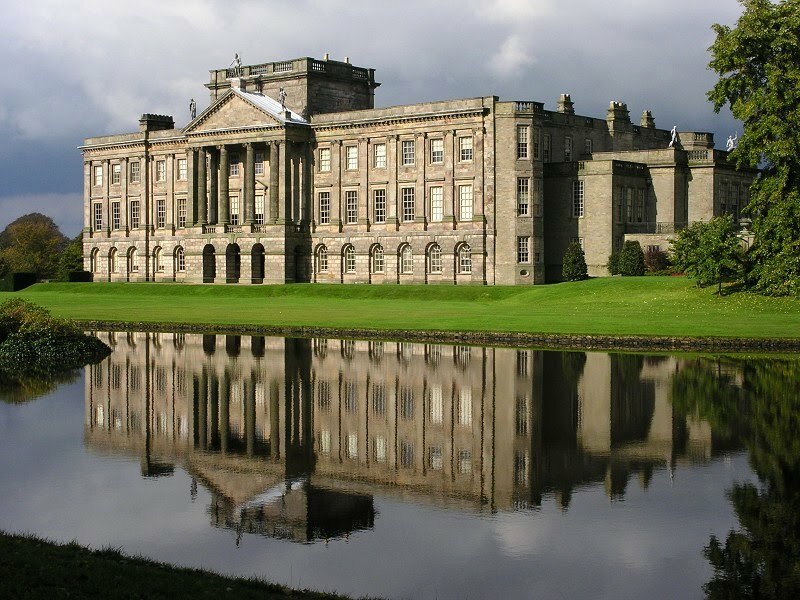 In Austen’s original, she claims to never want to see him again then is forced to go to Pemberley. While there she hears of how excellent of a master, landlord, and brother he is. Then, moments later she runs into him, and he treats her aunt and uncle with great civility. He calls the next day with his sister, proving his manners can be good on more than just one occasion. Elizabeth and Mrs. Gardiner return the call the next day, and Elizabeth briefly gets to speak with Darcy, but not privately. Who knows what might have developed after that, for the next day Elizabeth gets a letter from Jane about Lydia’s elopement. At the very moment, Darcy arrives at the Inn. During their conversation, Elizabeth feels her loss. She certainly loves him by then. But was it just the effect of two days? We all know she jokes with Jane and says it was after seeing Pemberley’s grounds, but that is clearly just a joke. I’ve heard critics say she loved him for his wealth. And I’ve heard many fans say that seeing Darcy at Pemberley in the role of master was critical. Since I’m leaving out Darcy’s earthly belongings in this story, it must be clear that I don’t think they had much sway over Elizabeth. Instead, I think what affected Elizabeth the most, was seeing Darcy still cared for her. And such is the case in Sufficient Encouragement, as the story begins with Elizabeth overhearing Darcy admiring her eyes. Of course, it’s not all a bed of roses. She does not welcome his attentions at first and later doubts his feelings are sincere, leaving her to feel all the more hurt for amending her own feelings. Like her Pride and Prejudice counterpart, my Elizabeth realizes once she’s set on the path of loving Darcy, she can’t shake it even when she fears it’s unreturned. And like Austen’s Elizabeth, mine comes to a moment where she finds the necessary courage to declare her feelings to Darcy. But Pemberley? She’s really only interested in it for the sake of “privacy” with her husband. Thanks for having me, Rita! I would love to know what readers think about when Elizabeth began to fall in love with Darcy. What was it that pushed her over the edge? Did you know Elizabeth Ann West is releasing a new novel and that she’s organizing a Launch Party for it? That’s right, over 28 prizes, 13 authors, ebooks, audiobooks, giftcards, and paperbacks . . . all for YOU to capture! Come play a game of “chess” to celebrate the upcoming release of To Capture Mr. Darcy by Elizabeth Ann West and apply for the innumerous giveaways! Nature’s a fickle thing. When four days of rain occur earlier in Jane Austen’s Pride & Prejudice to trap Elizabeth and Jane at Netherfield Park, new romances, misunderstandings, and alignments are made. Volatile tempers never did well cooped up together. Not even when there’s a chessboard to help pass the time. 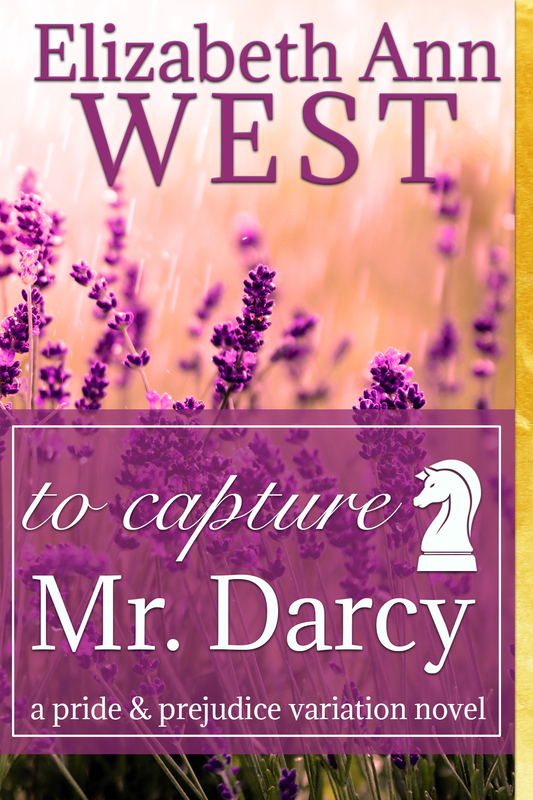 To Capture Mr. Darcy is the first standalone novel by Elizabeth Ann West and will be her 11th Jane Austen Fan Fiction variation. 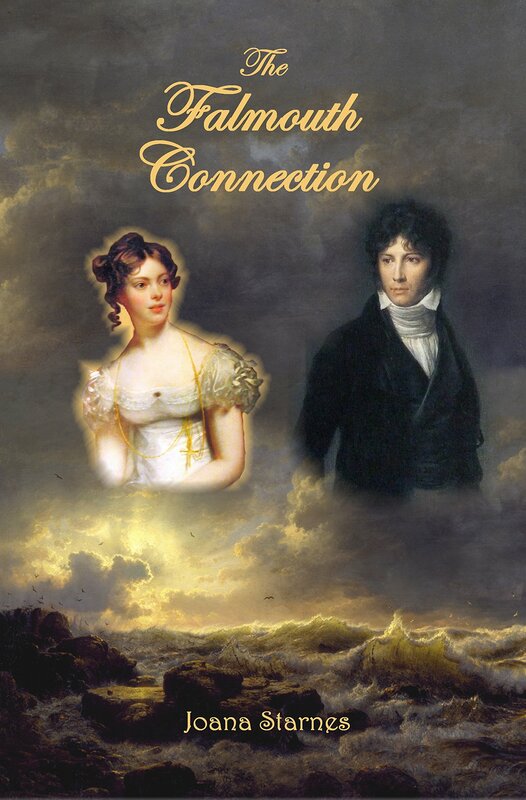 The Falmouth Connection is a breath-taking love story that begins with Darcy’s visit to the Hunsford Parsonage a few days before he intends to propose to Elizabeth. During this visit, Mr. Darcy discovers Elizabeth is to leave Kent the next day to join her family in Cornwall, and visit a mysterious great aunt. He offers to assist Elizabeth in her travel, and Col. Fitzwilliam, finding this strange, is able to get Darcy to admit he intends to ask for Miss Elizabeth’s hand. It is during this confession that Col. Fitzwilliam discovers how Darcy could ruin everything if he were to propose with his current mind set, and tries to make him see how Elizabeth would react to such a proposal. I liked this turn of events as it prevented Mr. Darcy from ruining his proposal without changing him in essentials. Elizabeth agrees to travel with Mr. Darcy and Col. Fitzwilliam and during the carriage ride she is able to see, for the first time, multitude facets of Mr. Darcy, which is something I always find delightful. I love to read a book that allows me to understand how, why and when Elizabeth started to change her mind about Mr. Darcy. For me, as a reader, it is important to know why she loves him or to see her fall in love with him, and that is something we encounter in The Falmouth Connection. After their voyage, they arrive at Basingstoke to meet with the Bennet family, and Elizabeth finally realizes Mr. Darcy loves her and will most likely propose to her. I must tell you that this scene is one of the best moments I have ever read! I loved every single moment of it; from thinking exactly what Mrs. Starnes wrote, to laughing out loud at the third “good heavens”! Seeing Elizabeth relieve every moment she shared with Mr. Darcy in a different perspective, and seeing her realize everything that was right in front of her eyes all along, was marvellous. I also loved the chemistry and intimacy of their last scene at the inn in Basingstoke, it is one of those I will hardly forget. But of course it is too soon for our beloved characters to find their HEA and Elizabeth leaves to Falmouth. Mr. Darcy is so passionately in love with her that he decides to follow her to Cornwall, and it is in this part of the country that we will find romance, broken hearts, a rival for Mr. Darcy, but also adventure, suspense and mystery. Mrs. Starnes takes this plot into a whole different stage and creates an innovative different story that completely deviates from the original but that keeps the characters as truthful to themselves as Jane Austen wrote them. The book is chaste and clean but overly romantic and emotional with a depth that can only be found in Mrs. Starnes books. The Falmouth Connection is very focused in Darcy and Elizabeth which is also something I truly love in a book, but some of the other characters were exceptionally written as well. I don’t think I have enjoyed a scene with Mrs. Bennett so much as the one Joana Starnes wrote on the day Mr. Darcy paid his first visit. I loved reading everything about it. Mrs. Bennett’s reaction to the first unexpected visit was fun to read, but adding the second unexpected visit was brilliant. In this passage we will see Mrs. Bennet’s perspective, and being in her head and seeing the way she constructed her thoughts on the eligibility of her daughters, to see how she contrived the idea that it was Lizzy that would suit Mr. Darcy, and to see that she would aid in their reconcile was absolutely wonderful. The way this character was described in this scene made me love her for everything that she was, and to have her prattle knowing she was doing so out of an inability to entertain a gentleman such as Mr. Darcy, was magnificent. The scenes between Darcy and Elizabeth are electrical. Joana Starnes surely knows how to transmit their chemistry into the pages of her novels, and this was no exception. Between the encounter in Landennis, the meetings at the cove and the balls, I wouldn’t know how to choose my favourite moment. In fact, this review was one of the hardest I have had to write because there were too many things I wanted to talk about, and I ended up cutting many paragraphs because the review was getting too long. I’m looking forward to read Mrs. Starnes next book as I am certain it will be just as good. Joana Starnes is, in my opinion, one of those writers with an innate talent who just cannot get it wrong, her books are always a turmoil of emotions and a pleasure to read, with something that is definitely an added value: a quality writing that is hard to see nowadays. The Falmouth Connection did not disappoint and I recommend it to any reader looking for a quality book to read. I am so happy with this encounter that I decided to share my good fortune with you. So, we will offer a personalised signed paperback copy of The Falmouth Connection to one reader of From Pemberley to Milton. All you have to do to be contemplated is comment this post. Let us know what you think of The Falmouth Connection or Mrs. Starnes other books, we are looking forward to hear from you. The giveaway is international and is open until the 3rd of May. The winner will be announced on the 5th of May in this blog. I announced the winners of Victoria Kincaid’s e-books a couple of days ago, and the lucky winners were Diana for When Mary Met the Colonel and Joana Starnes for Darcy vs. Bennet, however, Joana Starnes already has a copy of Darcy vs. Bennet, which means another reader had the opportunity to win it. Congratulations Dung! Please contact me through ritaluzdeodato at gmail dot com, and let me know in which e-mail you would like to receive he copy of Darcy vs. Bennet. I discovered Jennifer Joy in Amazon shortly after the release of her first book, and ever since, I have read all but one of the books from this amazing writer. She has also become my most frequent guest and I am honored that she still believes From Pemberley to Milton is a nice place to visit. 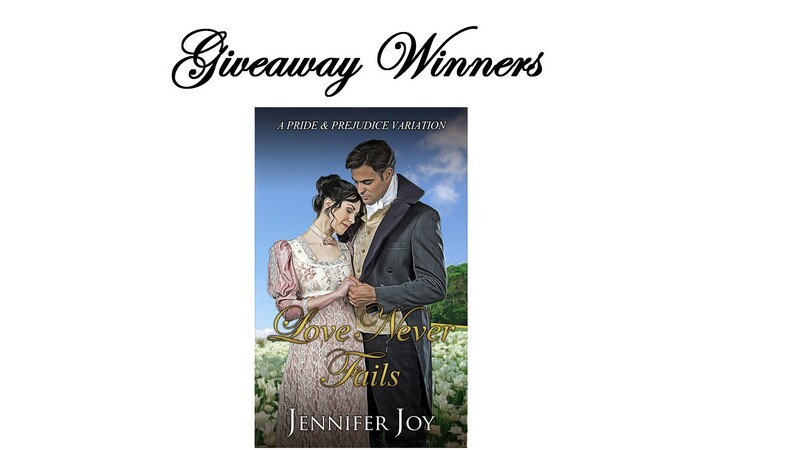 I have received Jennifer Joy with an excerpt of her most recent released book, and one of my favorites: Love Never Fails, and now it is time to announce the lucky winners of the generous giveaway of 4 eBooks that she decided to offer. But before announcing the names of the winners, I would just like thank Jennifer Joy once more for being so kind towards me and my readers. 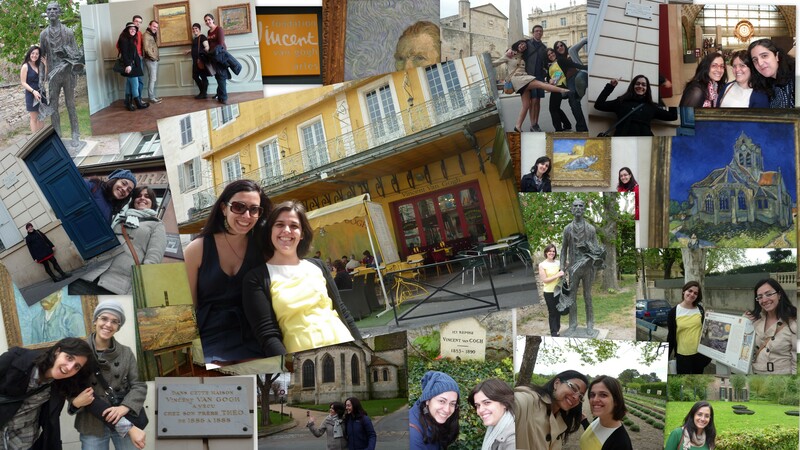 It was an honor to have been one of the few blogs she visited to share her latest book, and a pleasure to talk to all her fans during these past days. In fact, the comments all readers left in the blog made me really happy as we created an animated debate about Mr. Darcy’s pony and Mrs. Bennet prince charming. Thank you everyone! Your participation is as always much appreciated! Please send me your e-mail contacts to ritaluzdeodato at gmail until the 2nd of May so that I can pass them along to Jennifer for the ebooks to be sent to you. Last month I published a review of Darcy and Elizabeth: Timeless by Denise O’Hara who wanted to present my readers with a e-book or paperback copy of this original novel. It was the first time I had a chance to collaborate with Mrs. O’Hara, and I would like to thank her for her generosity and humility. I was very happy to get the chance to know her and her work, and I look forward to read more of her books. I would also like to thank each and every one of you who took the time to read and comment this review. Your thoughts and opinions are always important to me, and I love reading them. Please contact me through ritaluzdeodato at gmail dot com until the 21st of April and let me know if you would prefer an e-book or paperback copy of Darcy and Elizabeth: Timeless. Last month I published a review of When Mary Met the Colonel from Victoria Kincaid, and had the opportunity to receive her for the first time in my blog with an interview and excerpt of Darcy vs. Bennet. For me it was a true joy to have had the chance to interview Mrs. Kincaid whose books I have cherished for so long, and I would like to thank her for the availability, the kindness and the generosity of offering my readers 2 copies of her novels. I would also like to thank everyone who participated in this giveaway. It has been wonderful to have the opportunity to share impressions on books with new people every day! So thank you everyone, for your participation and support! Please send me your e-mail contact to ritaluzdeodato at gmail dot com until the 21st of April so I can pass along that information to Mrs.Kincaid for the eBooks to be sent to you. The first chapter of Love Never Fails was a true surprise for me. I have read almost every book Jennifer Joy has published, and for that reason I am quite familiar with her writing, but the tone of this latest release is very different from her previous works and her writing versatility surprised and amazed me. In this book Mr. Bennet dies before the Meryton Assembly occurs and the first scene is at his funeral. I was immediately drawn to the environment, the story and the characters. There is an intensity and sadness in these first chapters that transported me into the book and I could not stop reading, it felt as if I was compelled to do so. I have enjoyed many, many scenes in the book, but the first scene was definitely my favorite as it was the one that marked me the most. Of course the characteristic humor in Jennifer Joy’s writing is still present, namely in the comments Mrs. Bennet makes about Elizabeth’s marriage prospects. I really laughed when she said ”Lizzy shall marry whomever she pleases, so long as she marries. 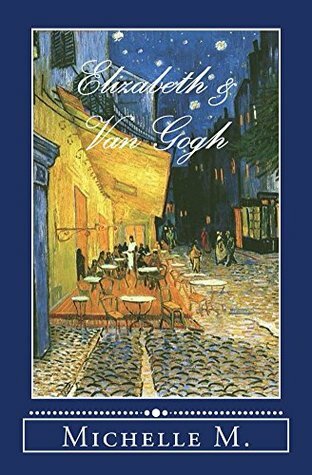 With her being so choosy, I tough it best for her to have a wide selection from which to choose”, but there is also a deeper and insightful component in her writing that I truly loved. With Mr. Bennet dying before the Meryton Assembly, the storyline changes and the first encounter of Elizabeth and Mr. Darcy is quite different. They meet at Oakham Mount, there are no words exchanged, yet everything is said through their eyes and their actions. I would describe this encounter as perfect! We can feel the intensity of this scene as if we were living it, and if you are used to read my reviews, you know there is nothing more I like then a book that has the ability to make me feel. Love Never Fails is in my opinion, one of Jennifer Joy’s most romantic books. Apart from the initial chapters, the scene where Elizabeth hurts her ankle is one of my favorites. I felt she and Mr. Darcy connected in a very intimate way. They shared a moment that was not only very important for both, but also private, shared between them and no one else. Considering the events, Elizabeth is not her joyful self, but her character remains very much the same. She still refuses Mr. Collins, and after so many variations where Elizabeth sacrifices herself to save her family, knowing that she would still refuse Mr. Collins in these reduced circumstances is refreshing. I never believed Elizabeth to be so altruist to the point of marrying him to save her family, so this choice felt very natural to me. I have also enjoyed Mrs. Bennet in this book, especially in the months following Mr. Bennet’s death. She was not hysterical as usual; she was her true self but in a state of mourning, she was still invested in marrying her daughters but is a less hysterical and more organized and reasonable fashion. I enjoyed this book very much and I’m curious to see how Jennifer Joy’s writing will evolve in her next novel. It seems almost impossible, but it was only one year ago that Jennifer Joy launched her debut book Darcy’s Ultimatum from The Cousin Series. Ever since she has been unstoppable releasing the other 2 books from the series: Anne’s Adversity and Col. Fitzwilliam’s Challenge and the stand alones Earning Darcy’s Trust (my favorite until this moment), Accusing Elizabeth and now Love Never Fails. 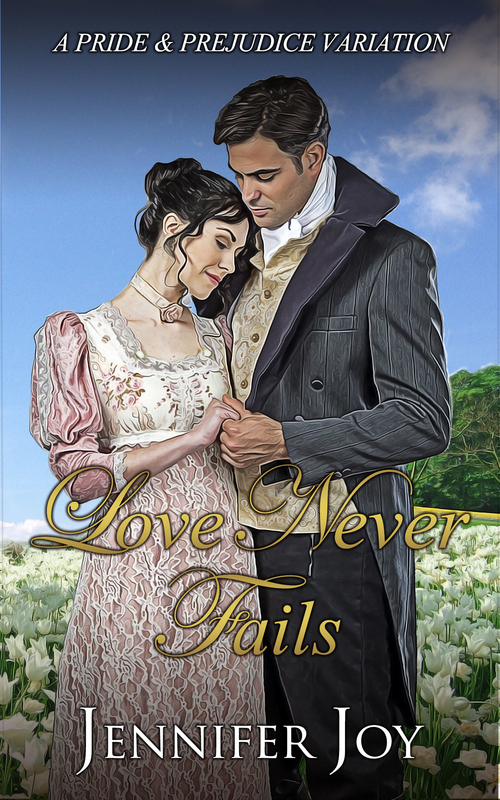 To celebrate her latest release, Jennifer Joy is bringing to From Pemberley to Milton an excerpt of Love Never Fails and a giveaway of 4 e-books. I hope you enjoy the excerpt (it’s one of my favorite moments in the book) and take the opportunity to win one copy of Love Never Fails. She looked around again, hoping that a carriage might cross their path. A carriage would be the best way to convey her to Uncle Phillips’ and then home. Merely thinking of her ankle made it throb all the more. Very well then, she would have to forgo her trip to Uncle. She punched the ground next to her again. Father’s books would be gone by the time she could get to him. Mr. Darcy held his extended hand out steadily, with no flinch of indecision. His expression inspired trust. He seemed to be just as embarrassed as she was, judging from the blush across his cheeks. Taking his hand, she let him pull her up to stand on one foot. She hopped a few times to gain her balance, refusing to take his arm until her sensibility overcame her pride. Several preferable circumstances popped into her mind in which she would be proud to take his arm, but she dreaded for him to think her feeble. She did not know Mr. Darcy very well, but she knew enough about him to know that he was not weak. Nor would he appreciate weakness in others. She looked between him and his horse, her voice trembling despite herself. “How do you intend to return me to Longbourn?” Please let it not be by horse… She held her breath. “Yes!” she wished to say wholeheartedly, but she swallowed hard instead. “I understand your predicament, Mr. Darcy, and I thank you for your gentlemanly manners toward me. But…,” she inhaled. “I have not sat on top of a horse these ten years,” she said in a rush through her exhale. Mr. Darcy turned in order to stare at her more directly. “Ten years? How is that possible?” The astonishment covering his handsome features made her smile to minimize her own ridiculousness. In one final attempt she tried to put her foot down and was deeply sorry she did. Groaning in pain as the blood rushed to pulsate in her ankle, she doubled over at the waist while clinging to Mr. Darcy’s arm for support. “I fear I have no choice in the matter today,” she said, straightening up after the initial jolt turned into a steady throb. How she wished he would wrap his cool hands around it as he had earlier. His touch had sent chills up her limbs until she felt as if her hair stood on end. The memory of it made her reach up to smooth her coiffure. Hopping toward the horse, her jaw tensing with every inch she drew closer to the saddle, she looked up at the stirrup. It looked so high, it seemed to be an impossible task to get up in the saddle. Why did gentlemen prefer such tall mounts? How on earth was she supposed to get up there? Why could they not ride ponies? Looking up at Mr. Darcy, who stood head and shoulders above her, she nearly laughed at the image in her mind of his long legs touching the ground as he sat astride a pony. “Is there something you find amusing, Miss Bennet?” he asked. Was he teasing her? She could not read his expression. With a deft swoop, he encircled his hands around her waist and plopped her on top of his horse. She closed her mouth to prevent her heart from leaping out of it, and scrambled to entwine her fingers in the stallion’s mane before she toppled off. If she had bumped her ankle in the process, she did not know it. Her nerves were on fire. Embarrassingly aware of how her skin burned at the forced intimacy Mr. Darcy had been obliged to take, she tried to remember what he had said before her thoughts evaporated into thin air. Ponies… It was something about a pony. Ah! Silently, he grabbed the reins and turned in the direction of Longbourn. The jolt as the horse took its first steps made Elizabeth yelp in fright before she could stop herself. Mr. Darcy slowed his pace. “I will lead him slowly and steadily. I will not allow any more harm to come to you.” His voice, lowered into a calm monotonous tone to calm both her and the horse, was reassuring. As was the intensity and confidence in his eyes as he spoke. Loosening her hold on the mane, she sat up in her seat and nodded for Mr. Darcy to lead on. She trusted him. They moved in silence for a short time, during which Elizabeth observed the gentleman in front of her. His dark hair curled up over his collar, reaching up as if it would push off his hat. He was taller than most men. He would never have difficulty reaching a book on the top shelf. As I mentioned earlier, Jennifer Joy wants to offer our readers four e-book copies of Love Never Fails. The giveaway is international and to participate all you have to do is share your kind words and love with Jennifer Joy. Leave a question or comment on this post, and if you want to double your chances of winning, you can also comment on the review of Love Never Fails that will be posted on the 11th. The giveaway is international and is open until the 17th of April. The lucky winners will be randomly picked and announced on the 18th of April.